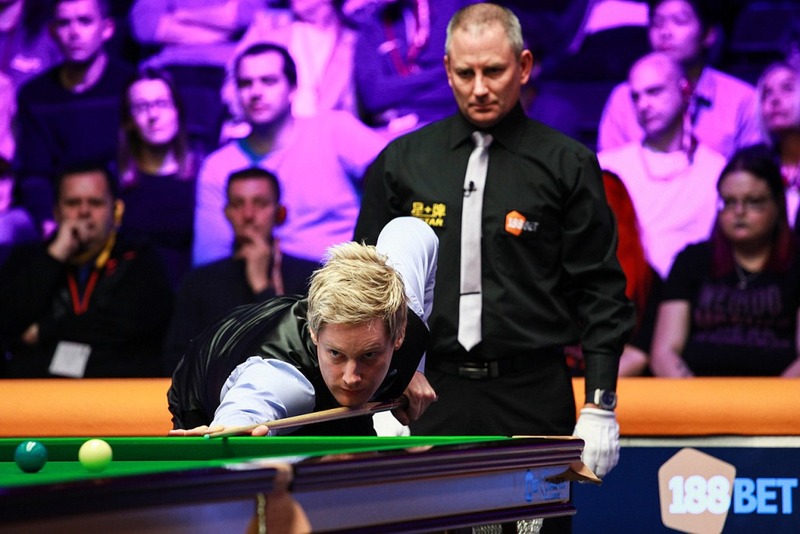 Neil Robertson set up a 188BET Champion of Champions semi-final clash against close friend Joe Perry after beating the resilient 15-year-old Chinese rising star Yan Bingtao 6-3 in Thursday’s Group 4 Final at the Ricoh Arena in Coventry. It will be Robertson’s third appearance in as many years in the last four. 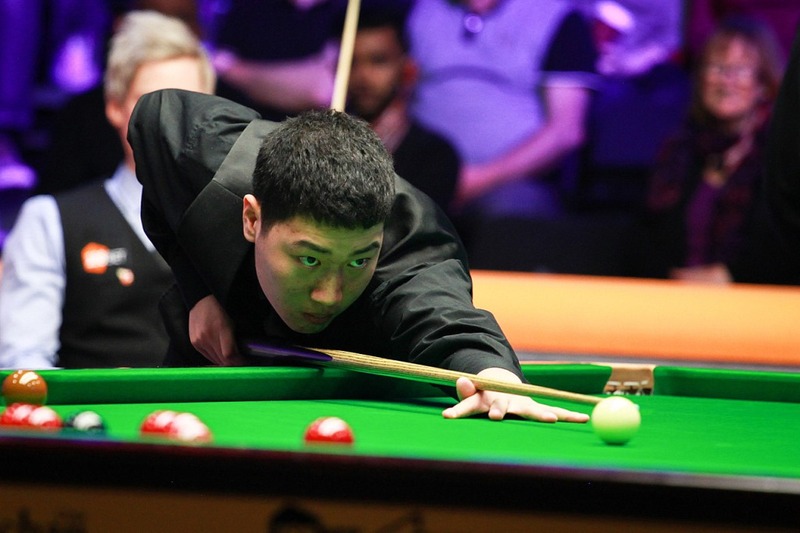 The Australian had earlier defeated Rory McLeod 4-0 in his group semi-final while Yan had stunned Masters champion Shaun Murphy with a 4-2 win, and it was the Chinese schoolboy who drew first blood in a scrappy opening frame of the group final that lasted 46 minutes. It was very much one-way traffic from there, though, as Robertson hit back in the second with runs of 52 and 33 to level. The world number three then took the next two frames to go 3-1 up at the interval, with a top break of 55 in the latter. He picked up from where he left off after the break, increasing his lead to three frames with a run of 36 along the way. However, Yan fought back with a run of 41 to take the sixth and breaks of 39 and 73 saw him move within one of the Australian. Robertson heeded the warning and fired in a 93 break to move to 5-3 and completed the victory with a run of 50 in the ninth frame to advance to Saturday afternoon’s best of 11 semi-final. “I was on a bit of a hiding to nothing there, playing somebody so young,” said Robertson. “He had nothing to lose and I am very pleased to get through. I can relax a bit now and focus on the rest of the tournament. “I thought Yan competed really well in the safety department, that is where I thought I would have an advantage. He did really well. “The one-table setup is absolutely brilliant. We don’t get many opportunities to do that unless you get down to the semi-finals of a ranking event. It is a great tournament, similar to the Masters where the first round is one-table, and the crowd was fantastic tonight. To reach the final Yan had followed the success of his World Cup winning doubles partner Zhou Yuelong – who had beaten World champion Stuart Bingham on Tuesday – with one of the biggest shocks in the history of the 188BET Champion of Champions, beating Masters champion Murphy 4-2. The 15-year-old Chinese prodigy, who is currently completing his education before turning professional next season, had a top run of 74 on his way to victory. Robertson secured his place in the Group Final with a comfortable 4-0 victory over McLeod. Robertson had top breaks of 109 and 78 on his way to overcoming Ruhr Open Champion McLeod, who was made to pay after not making the most of the opportunities that fell his way. The 188BET Champion of Champions features World Snooker tournament winners from the previous 12 months.